Indoor air should be viewed on the basis of positive criteria that surpass the mere avoidance of negative effects on occupants and buildings. 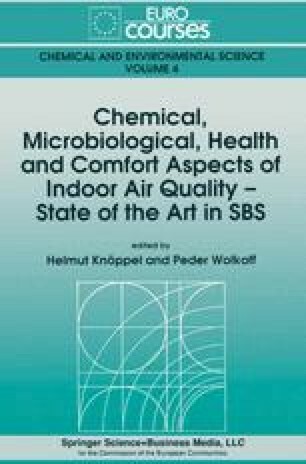 The report aims at furnishing judgmental criteria for defining a good indoor air from the sensory effect point of view and at discussing requirements on methods of testing of sensory effects. Sensory experience is a foundation of all our knowledge of the physical environment. Sensory perceptions are real and possible to explicate, manipulate and measure. Common features of the sensory systems are multisensory perceptions, perceptual interactions and recognition of chemical and sensory patterns of the indoor air. It is strongly argued that sensory effects be used in indoor air quality control. Recently, clear criteria have been presented for the judgment of sensory effects and qualitative values based on sensory effects are now being used. Unwanted odorous compounds should not be present indoors in concentrations exceeding the 50th percentile for detection among the occupants and sensory irritants should never exceed the 10th percentile for detection. In the promotion of good indoor air quality priority should be given to the protection of the sensitive part of the occupant population.